The Cleveland Division of Animal Care and Control is inviting the public to attend the second annual CITY DOGS Reunion and Play Day to be held at the City of Cleveland Kennel on Sunday, September 25th from 1:00 p.m. – 3:00 p.m.
Reservations are required for CITY DOGS adopters attending the reunion with their pooch. They can be made at www.tinyurl.com/citydogsreunion. Dogs that have been adopted via the Division of Animal Care and Control through the CITY DOGS program will be trying their paws at rally obedience and agility as well as competing for bragging rights as the dog with the biggest smile, longest ears, longest tongue and best trick. There will also be paw painting, a costume contest, and a kissing booth. This year alone, 225 CITY DOGS have been adopted from the city’s kennel into loving homes. Nonetheless, on any given day, fifty to sixty equally wonderful dogs wait at the kennel for their happy endings. Members of the public coming to observe the CITY DOGS in action are asked to leave their own dogs at home. For additional information, call 216.664.3476. 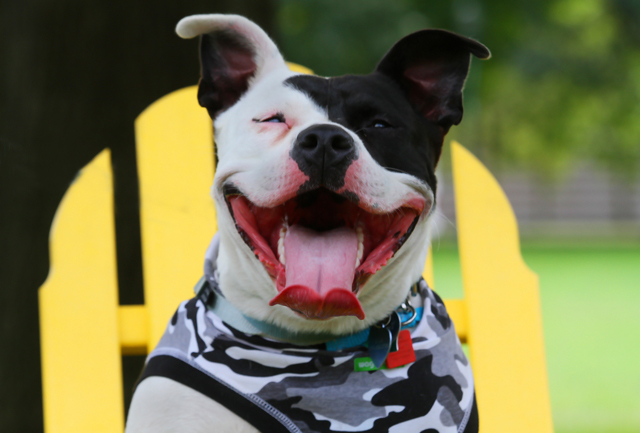 CITY DOGS is a program of Cleveland Animal Care and Control. CITY DOGS ready for adoption can be viewed at petango.com/cacc. Meetings can be arranged by emailing citydogs@city.cleveland.oh.us. The $61 adoption fee includes spay/neuter surgery, vaccines, a microchip, license, and a month of free pet health insurance.